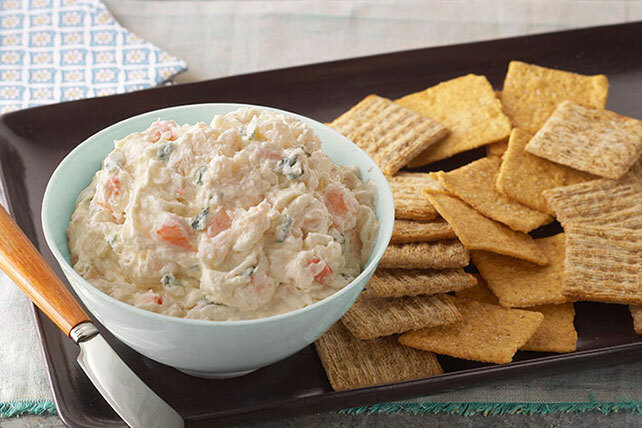 Chopped cooked shrimp, Parmesan cheese, parsley and garlic are blended with cream cheese and MIRACLE WHIP for an easy and flavourful appetizer spread. Beat cream cheese and Miracle Whip in medium bowl with mixer until blended. Place completely unwrapped package of cream cheese on microwavable plate. Microwave on HIGH 15 sec. or until slightly softened. Substitute fresh cilantro for the parsley. Serve with crackers or toasted bread rounds.